Mobile health devices pose novel questions at the intersection of philosophy and technology. Many such applications not only collect sensitive data, but also aim at persuading users to change their lifestyle for the better. A major concern is that persuasion is paternalistic as it intentionally aims at changing the agent’s actions, chipping away at their autonomy. This worry roots in the philosophical conviction that perhaps the most salient feature of living autonomous lives is displayed via agency as opposed to patiency—our lives go well in virtue of what we do, rather than what happens to us. Being persuaded by a device telling us how to conduct our lives seemingly renders the agent passive, an inert recipient of technological commands. This agential bias, however, has led to a marginalization of patiential characteristics that are just as much part of our lives as are agential characteristics. To appreciate the inherent interlocking of acting and being acted upon, it is vital to acknowledge that agency and patiency are correlates, not mutually exclusive opposites. Furthermore, it is unclear whether an action can only count as agential so long as its causes are internal. Drawing on the extended mind and extended will framework, I argue that mHealth applications merely serve as volitional aids to the agent’s internal cognition. Autonomously set goals can be achieved more effectively via technology. To be persuaded by an mHealth device does not mainly—let alone exclusively—emphasize patiency; on the contrary, it can be an effective tool for technologically enhancing agency. 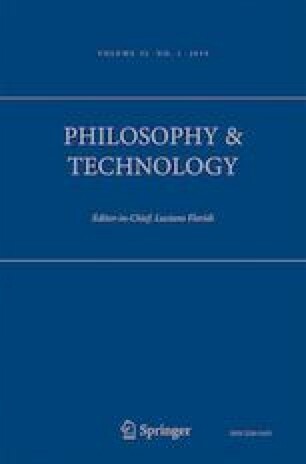 Special thanks to the audience and the referees of the 20th Conference of the Society for Philosophy and Technology (SPT) in Darmstadt for their helpful comments on earlier versions of this paper. Thanks also to the referees of Philosophy and Technology for their valuable feedback. I am grateful to the German Federal Ministry of Education and Research (BMBF) for their generous financial support. Dworkin, Gerald, “Paternalism”, The Stanford encyclopedia of philosophy (Spring 2017 Edition), Edward N. Zalta (ed. ), forthcoming URL = <https://plato.stanford.edu/archives/spr2017/entries/paternalism/>.